Researchers from the University of Missouri and the 99 Lives Cat Genome Sequencing Initiative announced on October 16, 2014, groundbreaking discoveries of novel mutations in the cat genome found to correlate with two human eye diseases, retinitis pigmentosa and Leber’s Congenital Amaurosis. 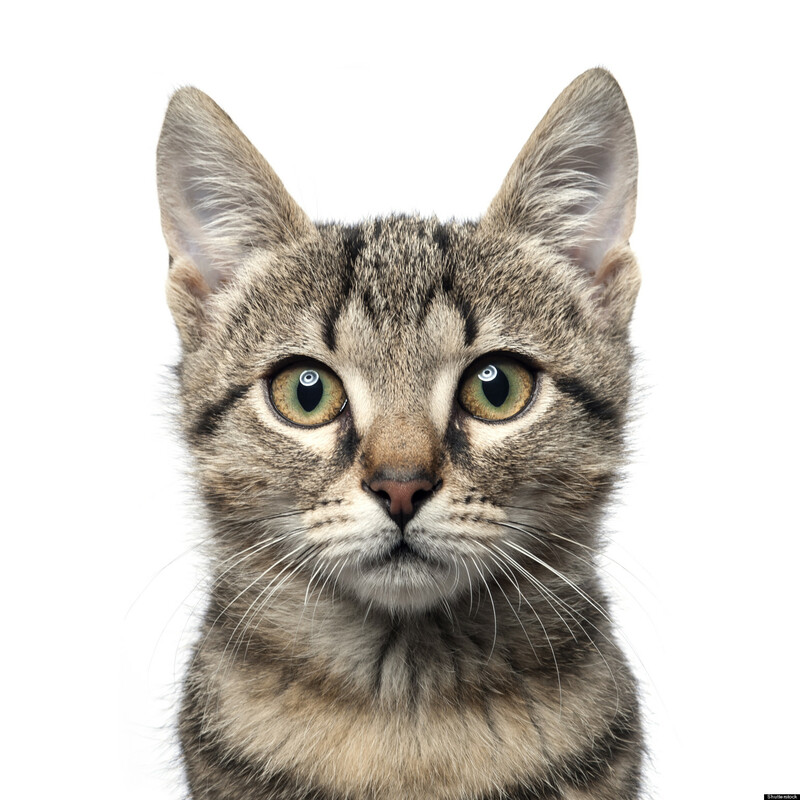 The 99 Lives Cat Genome Sequencing Initiative is a joint project among the University of Missouri, the University of California, Davis, and industrial partners. The Maverix Analytic Platform was used to analyze this data, and Maverix hosts the Initiative’s genome and analysis data in a publicly-accessible “Community of Discovery.” Leber’s Congential Amaurosis (LCA) is a rare inherited eye disease that primarily affects the retina, which is the specialized tissue at the back of the eye that detects light and color. LCA is one of the most common causes of blindness in children. With onset at birth or early in life; two to three per 100,000 newborns are born with LCA. Persian cats can suffer from autosomal recessive progressive retinal atrophy (PRA), a disease which is similar to LCA. Association studies of Persian cats localized the causal gene for Persian PRA to cat chromosome E1, which is homologous to human chromosome 17. Whole genome sequencing revealed mutations in the gene AIPL1. A variety of mutations in AIPL1 have been identified as causes of various types of LCA in humans. By finding that the putative causative mutation for Persian PRA is in the gene that can cause LCA in humans, researchers may be able to develop models to better understand the disease pathways associated with this rare eye disease and ultimately develop diagnostic and screening tests that will improve treatment. Retinitis pigmentosa is a condition affecting about 1 in 4,000 people in the United States. 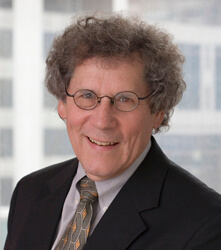 The American Society of Human Genetics (ASHG) has named David Valle (photo), M.D., Henry J. Knott Professor and Director at the McKusick-Nathans Institute of Genetic Medicine of the Johns Hopkins University School of Medicine, as the 2014 recipient of the annual Victor A. McKusick Leadership Award. This award, named in honor of the late Victor A. McKusick, M.D., known widely as the “father of medical genetics,” recognizes individuals whose professional achievements have fostered and enriched the development of human genetics as well as its assimilation into the broader context of science, medicine, and health. ASHG presented the McKusick Award, which will include a plaque and $2,500 monetary prize, to Dr. Valle on Monday, October 20, 2014, during ASHG’s 64th Annual Meeting in San Diego, California. In his acceptance address, Dr. Valle noted that he had had the distinct honor of serving under at least two legendary and towering figures during his long and continuing tenure at Hopkins, namely Victor McKusick and Barton Childs. “Over the years, Dr. Valle has had a tremendous impact on human genetics research, leading various studies and consortia on biochemical genetics and genomics in the United States and internationally,” said Joseph D. McInerney, M.A., M.S., and executive vice president of ASHG. “At the same time, he has maintained a prominent role in improving human genetics education and medical genetics training from K-12 science classes through the postgraduate level,” he added. Dr. Valle’s research focuses on the genetic factors underlying human health and disease, including specific genetic diseases and the broader interactions between genes and the proteins they encode that influence health and disease. Breaking down complex conditions such as Type 2 Diabetes and obesity into the specific metabolic proteins and processes that underlie them offers a new approach to studying the genetics of these diseases and how they are interrelated, according to research presented on Sunday, October 19, at the American Society of Human Genetics (ASHG) 2014 Annual Meeting in San Diego, California. By studying specific proteins that contribute to such conditions – and the genes that encode them – scientists can develop new drugs that directly target the metabolic processes that do not function properly, explained lead author Jennifer E. Below, Ph.D, of The University of Texas Health Science Center at Houston (UT Health) School of Public Health. “In fact, genes that affect the same process at the protein level can end up influencing multiple traits in tandem,” said Dr. Below. Working with colleagues at the Baylor College of Medicine, Harvard Medical School, and the University of Chicago, Dr. Below found that genes that regulate a person’s circadian cycle affect quality of sleep but could also put him or her at risk for diabetes. Similarly, the researchers learned, a group of related proteins involved in immune system functions and interactions between cells also plays a role in heart health. “Findings such as this highlight the importance of capturing the array of effects of genes, rather than treating each analysis as independent. Traits don’t exist in silos; they are richly connected and interacting, and we benefit by acknowledging this in our genetic analyses,” Dr. Below said. The researchers have focused their efforts in Starr County, Texas, a community where trends in obesity and Type 2 Diabetes rates have steadily remained about 30 years ahead of the rest of the country. Scientists studying birth defects in humans and purebred dogs have identified an association between cleft lip and cleft palate – conditions that occur when the lip and mouth fail to form properly during pregnancy – and a mutation in the ADAMTS20 gene. Their findings were presented on Sunday, October 19, at the American Society of Human Genetics (ASHG) 2014 Annual Meeting in San Diego, California. ADAMTS stands for “A Disintegrin And Metalloproteinase with Thrombospondin Motifs” and represents a family of peptidases. 19 members of this family, including ADAMTS20, have been identified in humans. Known functions of the ADAMTS proteases include processing of procollagens and von Willebrand factor as well as cleavage of aggrecan, versican, brevican, and neurocan. These proteins have been demonstrated to have important roles in connective tissue organization, coagulation, inflammation, arthritis, angiogenesis, and cell migration. A homologous subfamily of ADAMTSL (ADAMTS-like) proteins, which lack enzymatic activity, has also been described. “These results have potential implications for both human and animal health, by improving our understanding of what causes these birth defects in both species,” said Zena Wolf, B.S., a graduate student at the University of California, Davis, School of Veterinary Medicine. In both humans and dogs, cleft lip and cleft palate occur naturally with varying degrees of severity, and can be caused by various genetic and environmental factors. Because purebred dogs breed only with each other, there is less genetic variation to consider, making cleft lip and cleft palate easier to understand in these populations, Ms. Wolf explained. From previous studies, the researchers knew that a mutation in the dog genes DLX5 and DLX6, which are involved in face and skull development, explained 12 of 22 cases of cleft palate. A child’s genetic makeup may contribute to his or her mother's risk of rheumatoid arthritis, possibly explaining why women are at higher risk of developing the disease than men. This research was presented Tuesday, October 21, at the American Society of Human Genetics (ASHG) 2014 Annual Meeting in San Diego, Californai. Rheumatoid arthritis, a painful inflammatory condition that primarily affects the joints, has been tied to a variety of genetic and environmental factors, including lifestyle factors and previous infections. Women are three times more likely to develop rheumatoid arthritis than men, with peak rates among women in their 40s and 50s. Certain versions of the immune system gene HLA-DRB1, known collectively as the shared epitope alleles, are associated with the condition. HLA genes are best known for their involvement in the immune system’s response to infection and in transplant medicine for differentiating between one’s own cells and those that are foreign. The female predilection of rheumatoid arthritis strongly suggests that factors involved in pregnancy are involved, said Giovanna Cruz, MS, graduate student at the University of California, Berkeley, and first author on the new study. “During pregnancy, you’ll find a small number of fetal cells circulating around the mother’s body, and it seems that in some women, they persist as long as several decades. Women with rheumatoid arthritis are more likely to have this persistence of fetal cells, known as fetal microchimerism, than women without the condition, suggesting that it is a potential risk factor for the development of rheumatoid arthritis,” Ms. Cruz said. “Why it happens, we don’t know, but we suspect HLA genes and their activity may be involved,” she explained.